RescueAssist knocks out TeamViewer in a head-to-head performance test. While TeamViewer creates unnecessary friction points, RescueAssist (GoToAssist) simplifies the support experience so you can resolve your employees’ issues fast. Our web-based console allows for the fastest connection times possible; so employees can get back to what matters. RescueAssist’s lightweight application extension replaces the heavy, time-consuming endpoint downloads usually found in starting a TeamViewer remote support session. Meet employees where they’re already comfortable – in Slack. A remote control session can be easily started within Slack through a simple slash command, so your employees don’t need to learn another process. Mobile that keeps you moving. In today’s on-the-go work environment, immediate mobile device support is critical. RescueAssist is over two times faster than TeamViewer when connecting to mobile devices. With web-based chat, an agent and employee can be in contact quickly and without an app. 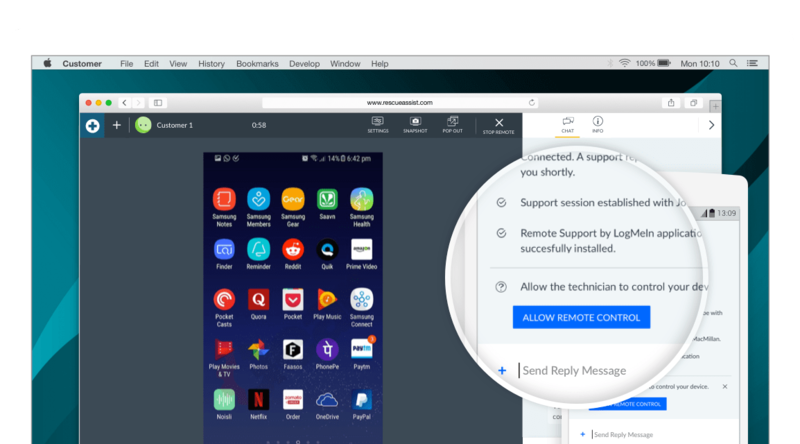 For sessions that require remote view or control, a direct-to-download SMS feature takes users directly to the app store page of our lightweight application. By using RescueAssist, you won’t have to compromise. 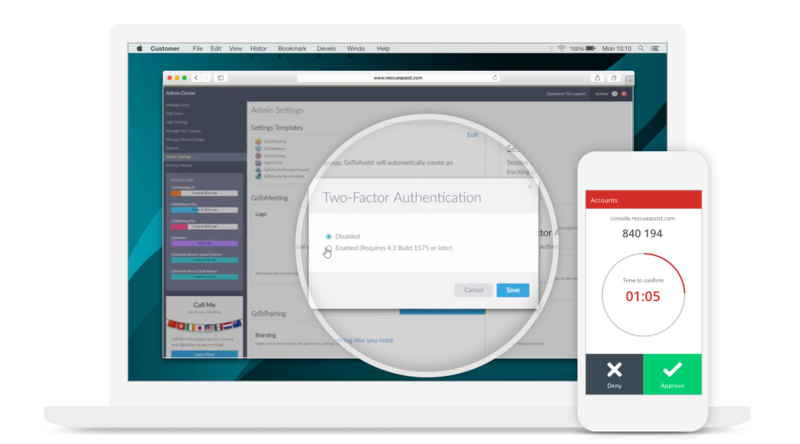 Security features such as end-to-end encryption, SRP authentication, multi-factor login authentication, and more keep you and your employees’ data safe.